When I decorate for any season, I use a lot of trays and baskets because they keep things contained – including all the mess. They also make things easy to transition from season to season. I just pick up the whole tray and take it to the work table I use for decorations and, presto change-o! I like using natural things like pine cones and limbs from my yard, but I don’t like a lot of orange. But with the leaves in Middle Tennessee getting that light rust tinge thing going, I usually use some rusty colored leaves, white pumpkins, and small painted pumpkins. This lighted grape-vine pumpkin is in a clay pot (sitting in a shallow basket tray), and the easy arrangement on the table is in a dough bowl. I always look forward to putting out and using my brown Johnson Brothers dishes for fall and winter! I haven’t done much on the front porch yet, but bought a HUGE yellow mum at a fall festival in my town over the weekend. I’ll work on that later this week after all our rain moves out. Working on some ideas for a friend for her living room today. Researching online before hitting the stores or ordering online helps me make decorating decisions – I still do some impulsive shopping but not as much! She has a large open living room that can easily handle a couch and a couple of chairs (either the chaise or the recliner, not both). She currently has a red couch that is showing its age, and has wanted a slipcovered sofa for a while. 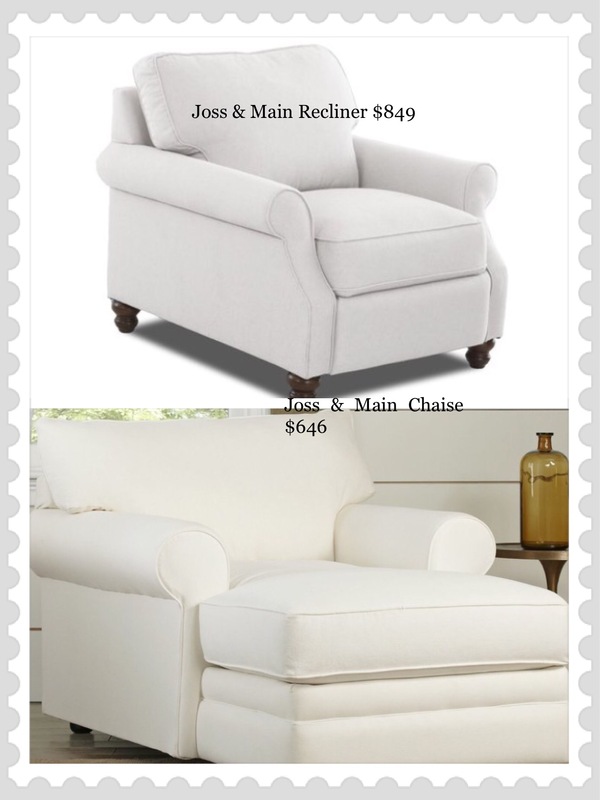 She already has a muted light green patterned chair that will stay, and finding the chaise or recliner that goes well with the couch and chair is a challenge. 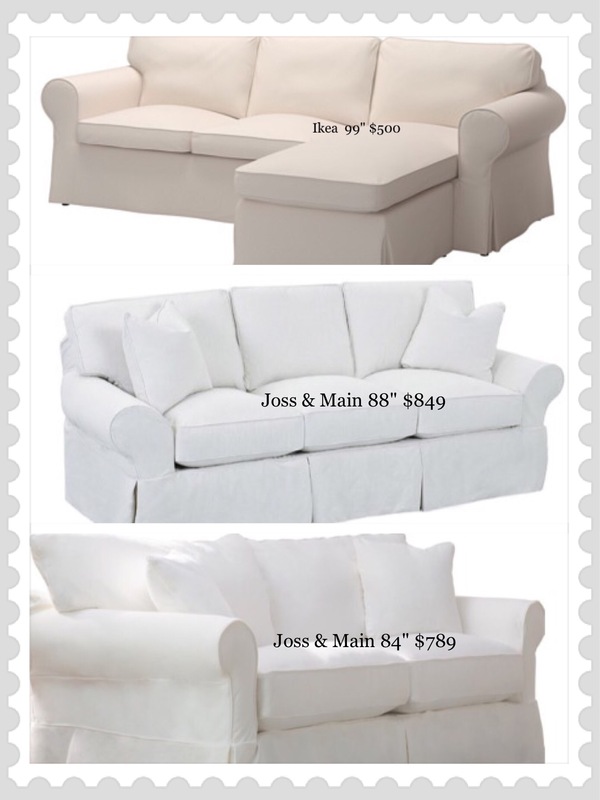 After choosing the style, she can pick out fabric for the chairs but she loves the white slipcovered sofas. *No, I’m not getting paid by Josh & Main in spite of all the furniture shown here, but they have nice furniture and an easy website to maneuver around. Plus, these are examples for my friend to decide what she really wants to use.